Calculate area of a triangle and rectangle. Students began practicing area calculations in the classroom. We started with basic rectangular shapes, using the formula A=LW, We used measurements taken of the garden beds from a previous lesson. We researched the recipe on the back of the SoPo bag, and reduced it down to 1 lb of supplement for every 160 square feet. Students made a plan to divide the area by 160 to solve for the correct amount of SoPo. Next, students practiced calculating area of a triangle using the formula A=(1/2)BH. Again, they used the ratio of 1 lb of SoPo for every 160 square feet. 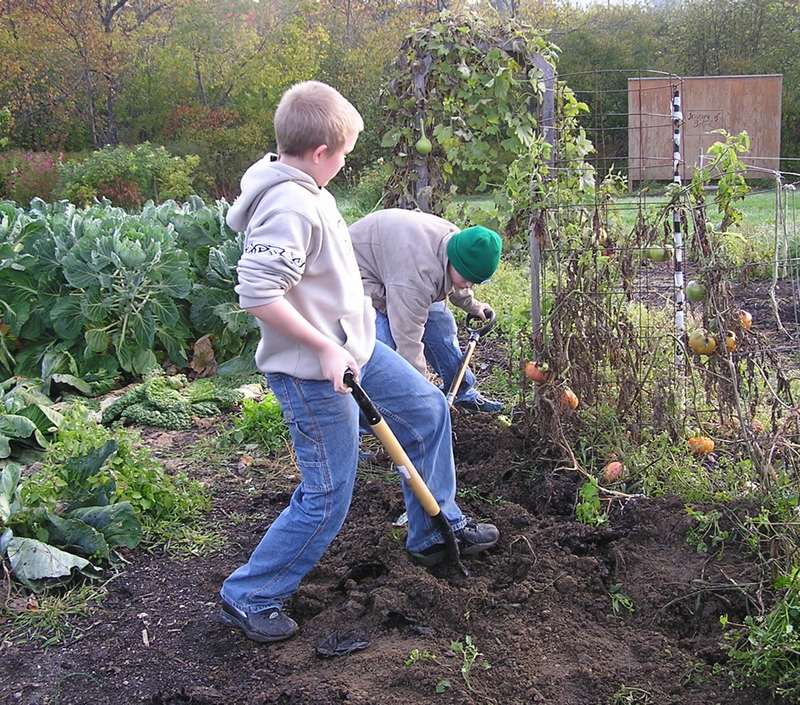 When familiar with the process of calculating area of triangles and squares, the class went out to a plot in the garden reserved for a crop of garlic. The plot was irregular in shape, yet could be visualized as a rectangle and triangle. Measurements were taken of the triangle’s base and height and of the rectangle’s width and length. We noticed that the triangle’s height was the same as the rectangle’s width. Students calculated square footage, then related the area of the garden plot to the SoPo recipe, weighed the correct amount, and worked as a team to mix SoPo into the soil. 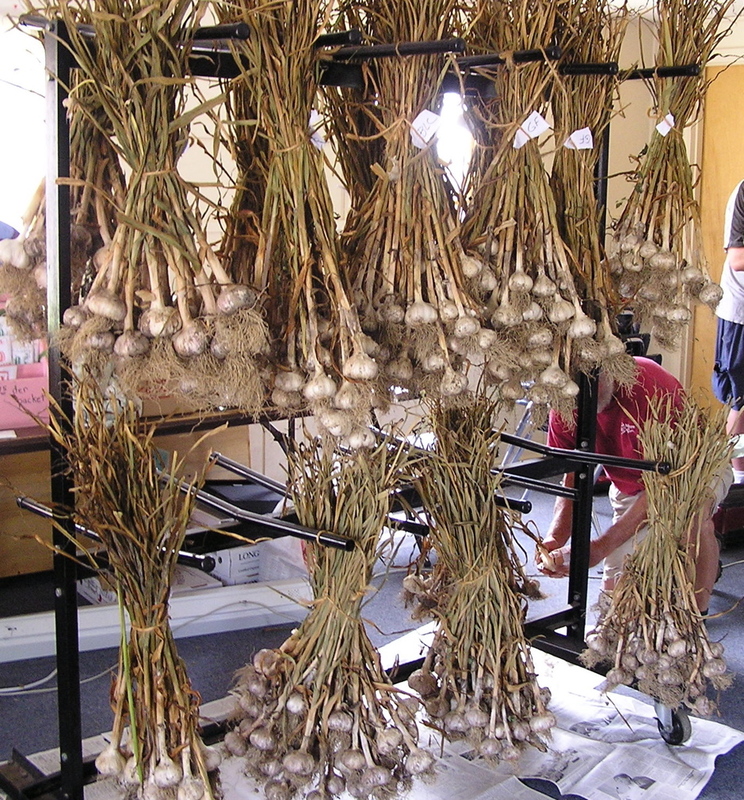 Students planted garlic bulbs in the fertile soil. Additional Bone Meal was added to each hole before the bulb was placed in the ground and covered. Projected harvest is August of 2008. Hi, this is Riley Duggan. In the past few weeks I’ve been cutting lettuce from the greenhouse that’s for the co-op. I have been harvesting the last of the vegetables now that the frosts are comming and all the vegetables are dead. I got a job with The Seed Co. I am one of the Seed Packet Designers. I am looking forward to the up comming garden events. The result was 1.16 pounds of sopo we needed to add to the soil in the rectangular plot. Then we figured the triangular plot. We basically did the same thing, just plugged in different numbers. First we Measured the base and divided it in half, then mutiplied by the height. We had to measure a few extra times for accuracy.